Our lead Vera Wang designer, Meghan Carey was interviewed on the delightful blog Love & Lobster this week by its author and incredibly talented wedding photographer, Emilie Sommer. 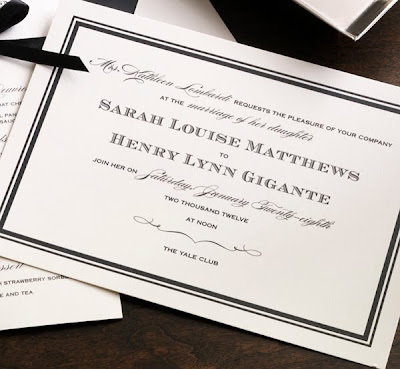 You will love the story about how Meghan became inspired to create this Vera Wang Black Double Border Invitation. Thank you to Love & Lobster for this wonderful chat with Meghan.